One who does the upasane & puja of the Ganesh Yantra is blessed with success in his work, business, undertaking & desires. Ganesh puja is must before starting any work.It is most auspicious. The sadhaka is blessed with success in his work, business, undertaking and desires. 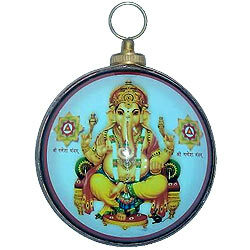 Ganesh puja can be performed through idol or through a Ganesh yantra.